The Patriot: MCA, YOUR FAILURE IS OUR BUSINESS! 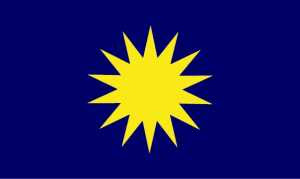 Contrary to the general consensus in the Malaysian Chinese Association (MCA), it is very much the business and in the interest of the Barisan Nasional spearheaded by UMNO that the MCA settle its problem amicably and as quietly as possible instead of washing their dirty linen in public while expecting others not to get involved. Liow Tiong Lai and the other Vice Presidents were present in the press conference declaring the truce between Ong Tee Kiat and Dr Chua Soi Lek, on the planned “healing” of the MCA. Yet Liow decided to air his discontentment through the media and seemed to have influenced the Youth and Women’s Wing leaders to join in his effort, in a separate press conference. Today, after getting some free advice from a Johor lawmaker, Wee Ka Siong, the Youth Chief, as reported in the Utusan-Online arrogantly says that they can handle it themselves without outside interference. Well my advice to him and the entire Malaysian Chinese Association is, if you don’t want outside interference, then you should bloody well deal with it quietly instead of calling for a press conference and making public announcements, contradicting each other like discontented brothel owners quarrelling over the flesh business going rancid. Yes! Rancid! Because MCA is a Chinese based party that has lost almost all Chinese support and is surviving on UMNO’s charity to carry their dead-weight and do their work in winning back the support through the esteemed stewardship of Prime Minister Najib Razak. RESIGN OR VOLUNTARILY SUSPEND YOUR PARTY FROM THE BN. If this Chinese based party had an ounce of merit or accountability in them, as they so passionately advocated in the past with much pride, then the President, who is evidently facing a confidence crisis in his own party, not to mention the accusations of accepting RM10,000,000 in cash and free private jet rides from a company hanging over his head, should resign his membership in the Cabinet or withdraw MCA with the “principled “ support of the whole party , from the Barisan Nasional until they have properly cleaned their house. It would be pleasant and inclusive to have a healthy MCA and other raced based parties in the Coalition. But under the current circumstances, losing MCA, MIC or even GERAKAN will not have much effect on us in the Peninsula under 1 Malaysia because the Government under Najib will not have to go through them as middle men or brokers anymore to serve the Chinese or Indians of this Nation. We can serve them directly and more efficiently ourselves and in doing so, the Prime Minister is offering first rate Barisan Nasional service at wholesale. My final message to MCA leaders; Don’t Act Like A Bentley When You’re Actually A Ford Cortina. Stop making press conferences until your mess is cleared. We are no longer interested and would appreciate the time saved for other more worthy stories to watch for in the news. Coba try berilah sedikit nasihat membina 'how to do' bagi budak-budak MCA ni. Perdana Menteri Malaysia sendiri telah dengan sabar dan tenang memberi nasihat yang membina kepada MCA. Tidak menjadi masalah jika mereka menolaknya kerana ianya hanya sebagai nasihat "yang membina" kalau di ikut kata Saudari itu, tetapi mereka menyangkal nasihat itu dengan memberi pula amaran supaya tidak ada campurtangan dari luar tentang rumahtangga mereka itu. Saya beri satu perumpamaanlah kepada Saudari. Andaikata saudari bermasalah dengan suami saudari dan terus lari ke luar halaman rumah menjerit-terlolong tentang hal rumahtangga saudari kepada orangramai, menyusahkan dan mengganggu ketenteraman jiran sekelililing yang rumahtangga mereka aman sentosa dan mungkin sedang mengawan, tiba2 apabila orangramai hendak membantu untuk mententeramkan keadaan, Saudari suruh mereka jaga tepi kain sendiri. Dalam keadaan demikian, sememang patutpun kalau saudari termasuk suami saudari sekali, sama2 dihumban oleh jiran2 ke dalam van polis yang sedang menunggu supaya tidak mengganggu lagi ketenteraman kampung mereka. Maaf, itu hanya suatu perumpamaan sahaja. Dari itu, jika MCA tidak mahu campurtangan dari orang luar, maka mereka tidak perlu untuk memukul canang kepada orang luar menggunakan media tetapi sebaliknya, menyelesaikan " masalah kelamin mereka didalam kelambu bilik tidur mereka sendiri." Jika anda membaca posting saya dengan tertib, Insh'Allah anda akan dapat message dan nasihat saya kepada mereka didalamnya. Saya juga sedang cuba untuk mendapatkan penterjemah Mandarin takut2 mereka tak faham bahasa Inggeris yang saya tulis ini. Akhir Qalam, terima kasih kerana telah sudi meninggalkan pandangan anda di sini. Ianya amat dihargai. MCA is a political party with millions of members and branches. They have to give party circulars and public press statements to address any communication. Why are you annoyed when MCA President or Central committte members gave press statements? Every political party must communicate with their members via media. It cannot be good news all the time.Even contradictary and opposing views have to be addressed via public media. Only then the members are well informed to decide the next course of action.All political parties including opposition as well BN component parties have their internal bickerings.You may call that "washing dirty linen in public".But you coud not hide the dirt for too long. Sometimes it is a blessing ; for that will weed out the weak, disloyal, unrealiable , unethical,treacherous and hypocrite members among us. Now that we know each clan accusing the other of back- stabbing or side-stabbing or betrayed. The PM should expel MCA from BN until they sort out their problems. UMNO should not provide or propose the solution.This is their self-inflicted wound. No outside doctor or bomoh could heal it. MCA members should once and for all eliminate their incompetent leaders.Install new vibrant leaders who can work along the BN framework. I told you so!The PM could not persuade the contending parties to close rank when they themselves have lost any remnants of confidence left among the largese MCA members.Let's hope that a new MCA emerges after this baptism of fire,since you said there is no new alternative chinese party in the near future/horizon. Yes they have millions of members and many branches but I don't see many of them being deployed during past by-elections and even while following their own candidate contesting in my area going around campaigning in the GE. When I organized the 50th Merdeka Celebrations in Pulai and brought Tan Cheng Lock's grandaughter who is also Tan Siew Sin's daughter, not even 10 members came out of the "thousands" of members in Pulai. Everytime there is a by-election, there were thousands of UMNO members slogging it out while they come in tens only. So I'm wondering if indeed they have the numbers. I'm annoyed with them because they use the media not to inform their members but actually sending strong messages between the feuding President and the Deputy. Do you actually think that those PC's were for the members' benefit? Come on, surely you're brighter than that. When they draw attention to others via the media, they open themselves up to opinion from others like the one you and I have over their situation. They then lose their right to ask others not to interfere or give opinions based on their own exposure. Nobody's asking the dirt to be hidden, but washed indoors. Do you still wash your clothes by the river Umar? I think not. Same applies to these feuding parties. My contention also applies to other feuding parties like in UMNO a year back, not only in MCA. Agreed. The PM should suspend them until they sort out their problem. It's too early to say whether the PM's persuasion for them to close ranks would work or otherwise but we shall see in the next few days. This PM doesn't take any nonsense from any parties and will definitely take action very soon if there is no solution in the near future. Whether the new MCA emerges or not, the PM and his team are forging ahead themselves to win over the Chinese. Whether MCA is on board or not is secondary now though it would be a bonus if they are. But ultimately, we will not be banking all our chips for our future on their participation like before. You see now, how much damage is being done after Najib interfered in MCA. Now Registrar of Society got involved. How can the ROS say that Dr.Chua is still the Deputy ? Who is supreme, the ROS or the members of the party ? If the members voted to dissolve MCA, can ROS still insist that MCA is a legal party ? Who is relevant ? Now the members are going to court to decide who has the final say on any party matters ;the ROS or the members. Do not ever underestimate the intelligence of ordinary members.they are the backbone of the registered entity not the ROS. The government should not decide the office-bearers superseding the votes of the members. I hope Najib learned his lesson. Now that he destroyed MCA beyond repair.The ROS should confine itself to issuing of license and record-keeping and regulating them. You cannot use ROS to intimidate any organisation be it PAP or IPF. Can ROS say Badawi is still the President of UMNO without regard to party AGM or EGM results ? Let the PM expel or suspend MCA until they find an amicable or workable solution.He can perhaps influence them not dictatae the solution, otherwise it would be mockery of democracy. UMNO should remain the anchor in BN nevetherless, not dictate and decide the matters of other component parties.Otherwise it amounts to big brother bullying the small ones ! I agree. 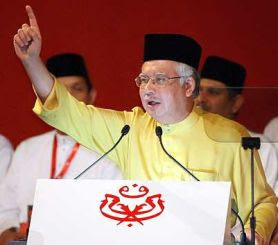 UMNO as the backbone of BN should reach the non-malays themselves. Im starting to think that all this MCA hotshots are just a bunch of freeloaders. If not freeloaders, they could be the mole. First of all, I apologize for the delay in my response. My Laptop was out of action for a while. Sir, Najib didn’t interfere with MCA. He merely asked the two feuding parties to close ranks and unite the party. How it was done he doesn’t care as long as they are back on track enabling them to focus on winning Chinese votes for BN in two years time. The ROS was following the MCA Constitution, not UMNO’s nor any other party’s by-laws. Like for the President, I believe it also takes 2/3 of the majority to dislodge him. As he was re-instated as member, then he should rightfully hold his former post. If the rule was misinterpreted then another avenue should be sought to sort out the issue. The Constitution of the Party is Supreme, not the members, but they can have an EGM to amend it because they have that power to do so. What is the point in having a Constitution if members won’t abide by it? Do the MCA members live in the jungle? Of course if the members voted to dissolve the party in accordance with the Constitution, the ROS would have to execute the necessary action. MCA’s existence is of no value nor direct benefit to ROS which only regulates societies, not administer them. I don’t think the Government nor the ROS underestimated the intelligence of the members. On the contrary, it is evident that the MCA members over-estimated theirs because they forgot that it takes a 2/3 majority to dislodge an official and not a simple majority. There is no lesson for Najib to learn from. MCA has done a fine job by themselves to destroy whatever credibility they have by being selfish instead of upholding the interest of the Party above all else. If history has taught us anything it was UMNO leadership that saved MCA before, which you are already aware of, reading from your previous comment, and MCA too had returned the favour by presiding over a BN meeting to invite UMNO back into the fold, after it was declared null and void and inviting us back, restoring our position as Chairman. Yes, I agree yet again that the PM should expel or suspend MCA until they sort their mess out but Najib is not as harsh and stern as we want him to be. He wants MCA to unite and find their own way of resolving their issues without having to be kicked out of the Coalition. Sir, a mockery of democracy is reflected by defying the Constitution, and I reiterate, the Constitution requires a 2/3 majority, not a simple one to effect a change of this magnitude. As an Anchor Party, UMNO is duty-bound to see that an amicable solution is found amidst this self –inflicted mess in MCA that will affect the Group performance in the coming GE. If that amounts to culpable bullying, then they should accept that interpretation and press on to attain the desired result. It’s a bitter pill to swallow, but it’s for the greater good. Thank you Umar for your attention on matters of the State. It shows that we all still care. Yes, they were overmarketing their talents and principles which is worth no more than toilet paper today. Now we see that they are worse than the Malays they sneer at.